Metro Pool Chemical was the name of this business in 1985 when it began doing swimming pool service in the Tulsa Metro area. The only service offered at that time was weekly chemical service and the office was located between Sapulpa and Jenks, OK.
Weekly chemicals was still the only service offered in 1994 when the business was purchased by father and son, Phil and Paul Landers. Phil Landers (above left) with Chase Simone -Service Tech. Paul Landers and family at daughter's wedding . 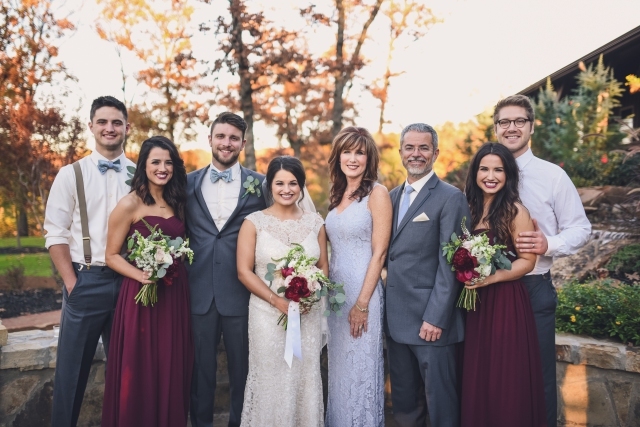 L to R...Nate (son), Claire (daughter), Christian Barbee (son-in-law) and Jennifer (daughter), Julie and Paul, Rachel (daughter) and Jonny Hupp (son-in-law). 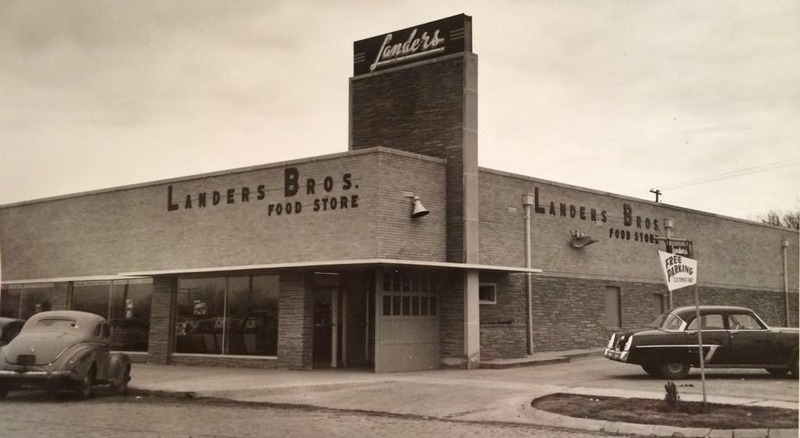 The Landers were the owners of Landers Bros. Food Store, a Nowata Oklahoma grocery store that had been family owned and operated for three generations. The grocery store, although successful since 1928, had been declining in sales with the arrival of large chain stores and the trend away from small town privately owned stores. The Landers began to look for another business opportunity. The Landers purchased Metro Pool Chemical in 1994 after much consideration and prayer. Paul began to manage Metro Pool Chemical along with 2 employees while Phil continued managing Landers Bros. Food Store. December 1995 was the last month of business for the food store, after which Phil joined forces with Paul at Metro Pool. "1994 was a huge year for us with the purchase of Metro Pool. At the time, the decline of our grocery store seemed like a huge crisis", said Paul, "but looking back now, I see it was a blessing, because it helped me to find a business which I enjoy much more. Metro Pool Service is not just a job to me. It is a huge part of my life. I love meeting our customers' needs and am very thankful to God for the privilege of being the owner of this company." "The grocery business was great in many ways" says Phil, "but seemed confining, requiring lots of time inside a small building, while pool work gives me opportunities to enjoy the outdoors. It also allows me to continue working together with my son, Paul." Since 1994, much has changed including the slight name change to Metro Pool Service. The location has changed from Sapulpa to our current location in Tulsa. 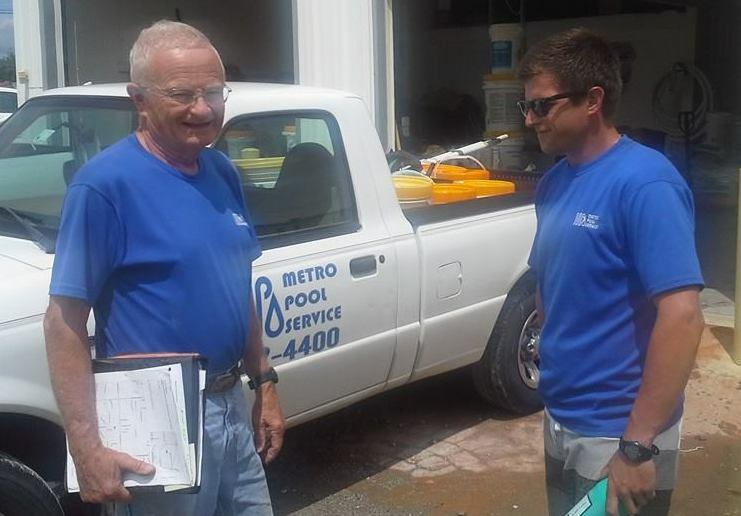 We still offer the basic weekly chemical service, but have expanded to include cleanings, repairs, new equipment installs, openings, closings, Loop Loc pool cover installations, and more. .
Today, Metro Pool Service involves many employees including several family members. Family members involved currently include Paul's wife Julie, Paul's son Nate, Paul's daughters Jenny & Claire, and of course Phil and Paul Landers.